Advertise directly to customers and support Paisley. We have on average 40,000 visitors per day with a huge number of page views to the website alone. Our Facebook pages have a combination of 22,000 likes (average of 2,000 impressions per Facebook Post) and we have accumulated over 6,000 followers on our various Twitter pages and our Instagram page has reached well over 1k followers. We also have 2,700 registered users on the website. Now, is this the kind of advertising network that sounds appealing to your business? Your Logo is all that is required or a photograph that you use or text etc.. It has to be of decent quality. Please remember you do not just get to advertise on www.paisley.org.uk you also get to advertise once a month on http://www.facebook.com/paisleyscotland . Well you get a lot for your money for instance. 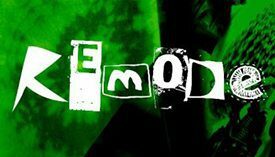 We will work with you to get the best out of your advert, we are interested in promoting you. Please email any of our advertisers and ask for yourself, you will find it is money well spent. Please enquire about prices, we have a solution to suit your business to gain maximum exposure via our network. 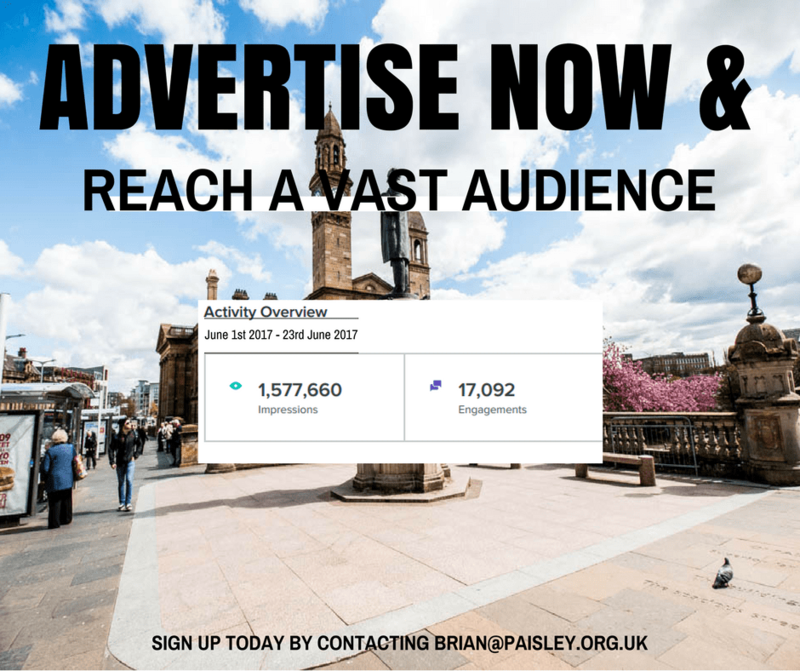 We do not see your advertising on the website as a one way street with Paisley.org.uk being the winner, we see it as a partnership. We will promote all businesses that advertise on our website through blog posts, Facebook group, twitter and other social media websites, which have over 8,000 fans or likes on our various networks. We would love for you to be part of this. Use our Contact Page by clicking here, specify in the comments that you would like to advertise and we shall call you back.